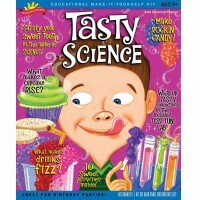 Learn about the science of polymers, make all-natural chewing gum from trees, and conduct experiments in elasticity with this US made food science kit. 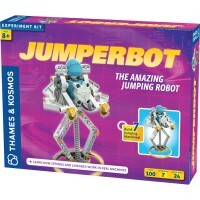 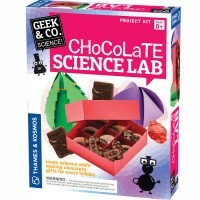 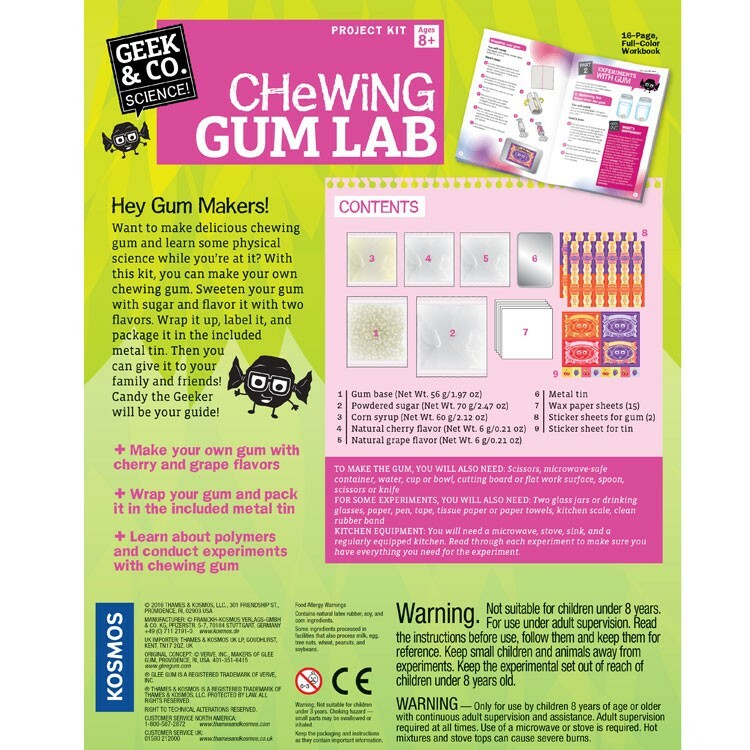 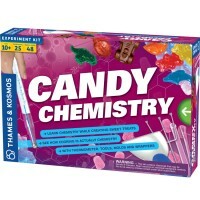 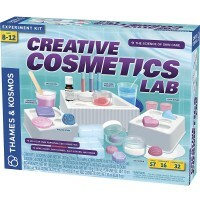 Make your own yummy chewing gum with the new Geek & Co. Chewing Gum Lab Food Science Kit by Thames & Kosmos. 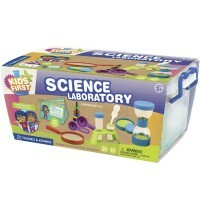 This food science kit from Educational Toys Planet comes with everything the scientists need to make their own chewing gum. 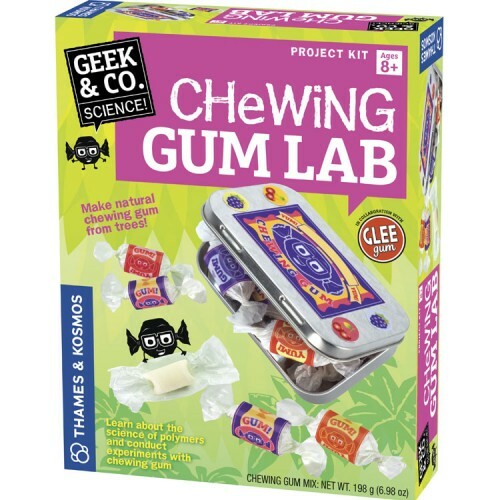 Follow the 16-page full-color instructions from this fun science kit, prepare chicle, all-natural rubber gum, that comes from tree sap. 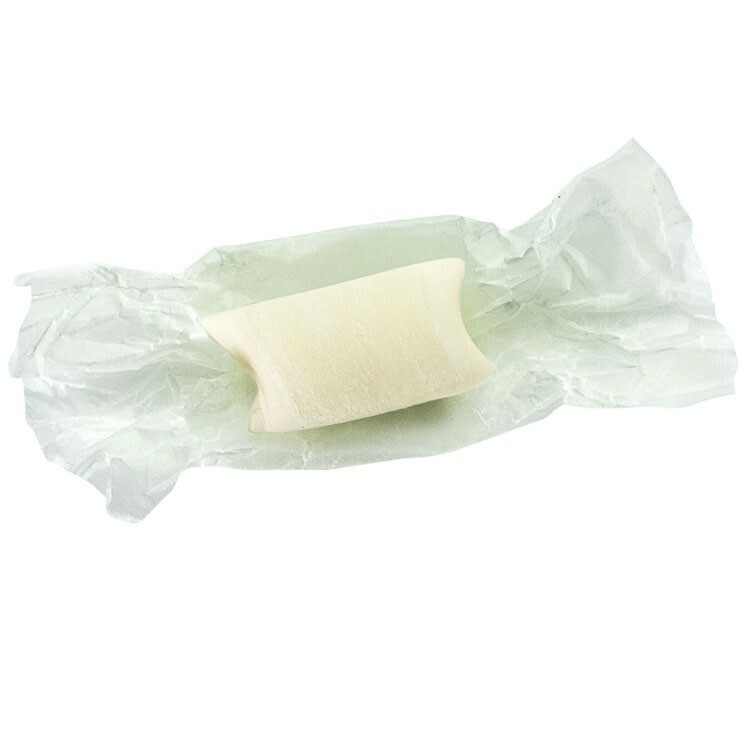 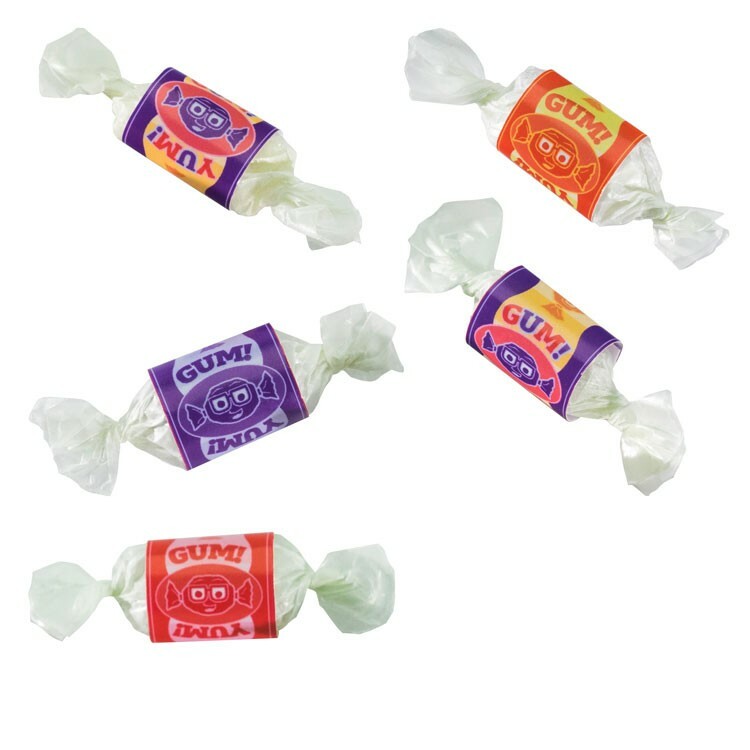 Sweeten the gum with sugar and flavor it with two flavors. 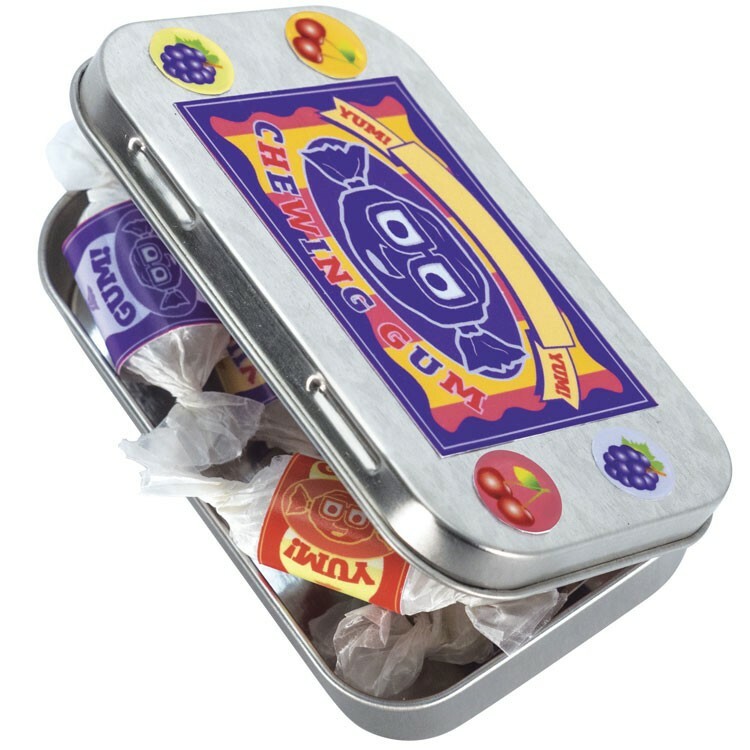 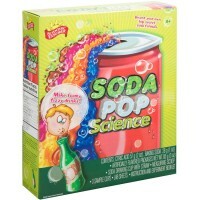 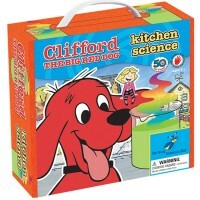 Wrap it up, label it, and package it in the metal tin included with the Chewing Gum Lab Food Science Kit. 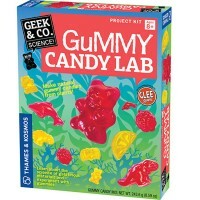 Learn about the scientific properties of elastic materials like gum, polymers, and experiment with gum elasticity. 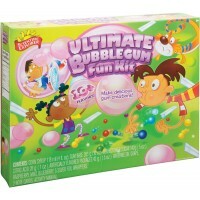 Dimensions of package 2.5" x 8.8" x 11"
Write your own review of Chewing Gum Lab Food Science Kit.